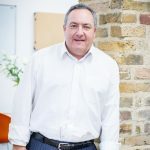 Tim has over thirty years’ experience within the sales environment as a sales person, a sales manager, a sales director and as a mentor and coach. He has run sales teams as a sales director within the IT sector as a direct re seller, a VAR and as an MSP. He has developed and exited from two IT businesses and supported three training and development organisations to grow their businesses by supporting their commercial offering. He has taken these teams through change initiatives . Tim continues to develop himself as a coach and has successfully taken his coaching into executive and leadership coaching. He has combined coaching with management and leadership development and regularly supports senior managers to take their next step upward in their careers. He is a qualified coach and a Chartered Manager and also holds a degree in professional consulting.